If we don't have exactly what you are looking for, we can get it! All these vacuums and more are available at our store, come in for a demo! Our stylish uprights have everything you need to effortlessly deep-clean all your home surfaces. Intuitively designed to give you more reach in less time, each product also comes with a unique set of tools to help you clean hard-to-reach places in your home. Our high-performance canisters offer you maximum flexibility and ultimate maneuverability. 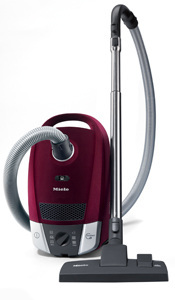 Complete with powerful deep-cleaning nozzles, long flexible hoses and conveniently stored tools. Our canisters are designed to make cleaning every corner and surface of your home easier. 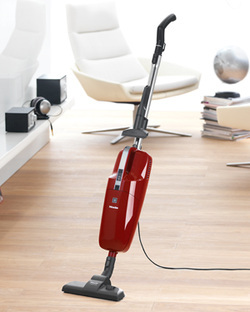 Quick Cleaning with No Strings AttachedOne vacuum for your multiple cleaning needs. A lightweight stick, with a 180-degree swivel cleaning head that maneuvers over bare floors effortlessly; combined with a convenient handheld for quick pickups around your home. Versatile tools are stored right in the charging stand, so they are always ready when you are. The S7 Upright Series cutting-edge design. Edge-to-edge performance. 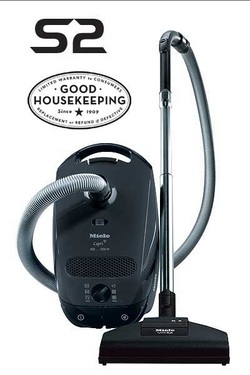 Miele S7 upright vacuum cleaners provide the ultimate in maneuverability and responsiveness. Innovative SwivelNeck™ design lets you rotate the vacuum around chair legs with little more than a turn of your wrist. Or you can extend the S7 into its unique flat-to-the-floor position to reach under beds, coffee tables and other lower furniture. At all times the spring-loaded roller brush maintains optimal contact with the floor for ideal suction. The S6 Canister Series thoughtfully considered. Brillantly refined. allergens — while its efficient, near-silent motor delivers significant noise reduction without sacrificing power. The S1 Universal Upright. Versatile performance without compromise. 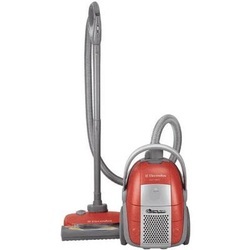 From ceramic tiles to flagstone, cork to bamboo, Miele’s Universal Upright vacuum cleaner is ideal for light, quick cleaning tasks on a wide range of smooth floor surfaces, as well as low to medium pile carpeting. Unlike many stick vacuum cleaners, the Universal Upright provides ample pickup power, capturing fine particulates and debris easily and efficiently. The S2 Canister Series Superior performance with exceptional value. 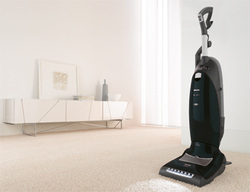 Incorporating the quality and performance for which Miele vacuum cleaners are renowned, the S2 Series delivers exceptional cleaning power perfectly packaged in an agile, lightweight body. These versatile canisters gently care for all flooring in your home, from smooth, solid surfaces like tiles and hardwoods to plush rugs and deep-pile carpeting.